Our dyeing department is considered by us as an important part of our customer service and is equipped with state-of-the-art dyeing machines with automatic dosing stations for chemicals and dyestuff. Through consistent investment in new machinery this area is steadily modernised with increased production capacity. 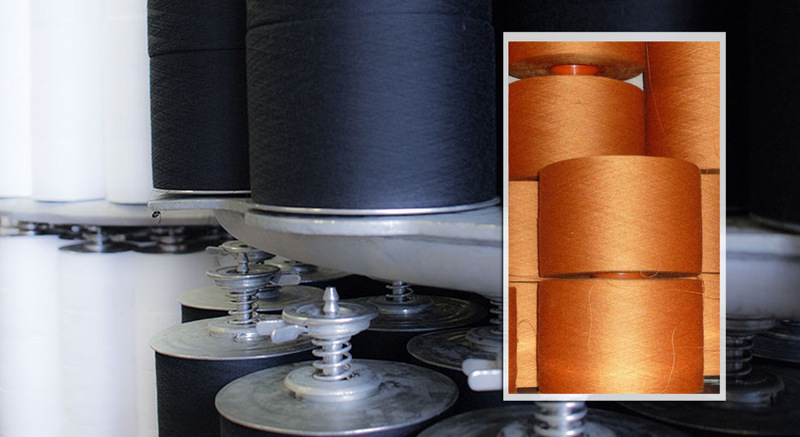 The dyeing of single and folded yarns as well as of loose fibre (stock dyed) is one of our key competences. The batch sizes for yarn dyeing are 50 kg / 100 kg / 250 kg / 500 kg / 1,000 kg. For fibre dyeing we can also dye batch sizes from 3 tons to 50 tons. On request, also individual dye bath weights are possible. Our laboratory is perfectly equipped to ensure precise colour matching as well as consistent results in bulk, supported by very modern colorimetric equipment with automatized mixing of the dyeing recipes. We dye polyester yarns (HT dyeing) as well as other synthetic materials such as aramids and acrylic but also material made of cellulose and natural fibres.